As an electric guitar player, you may have been working on your proficiency, sound, and music choice and are finally ready to start building on your equipment – possibly because you are going to be playing in public. You’ve already got a great guitar and amplifier set that you feel good about playing with, and now you want to add some effects pedals to enhance and spice up your sound. If you are just starting out, how do you choose? What are the basic pedals and what do they do? Which ones are essential for every player to have on hand (or, at foot, as it happens)? The following are the 5 guitar effects pedals that every player should include on his or her pedal board. Technically, this isn’t an effects pedal at all, but it is so important that it cannot be left off of your board. 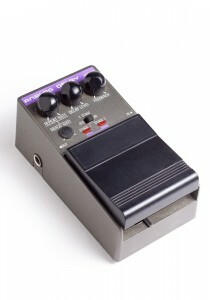 A good tuning pedal is absolutely essential for every player that intends to play in public, for many obvious reasons. While you may be able to tune your guitar by ear under normal (i.e. : quiet) circumstances, but it’s nearly impossible to tune anything accurately on a noisy stage. The tuner pedal cuts off the signals from your guitar so that the rest of the room doesn’t hear your tunings. It then uses visual elements, such lights or a needle, to indicate the tuning of each string. You will be able to always be in tune with minimal effort, and without annoying your audience with all the futzing around over the speakers. Most, if not all, electric guitar players want a distortion, or gain, pedal to boost that distinctive, gritty electric guitar sound. The pedal distorts the signal from your guitar as it hits the amplifier, giving it a much warmer and fuzzier sound than normal play. As the word “distort” simply means “alters” – there are many different types of distortion pedals that will create just as many different sounds. When shopping for your pedal, stay away from the cheaper models, which can give off too harsh of a sound. Find one that does what you want it to do, and don’t be afraid to shop the pricier ones. You get what you pay for with this pedal. While some of the higher-end amps may have a high quality, built-in reverb; most guitar amps do not. The reverb pedal adds depth and extra nuances to your overall sound, as long as it is not overused. The sound is created via several echoes with different time and decays that feedback on each other. Types of reverb pedals range from really basic to super high tech digital models – so shop around. The most in-demand sound is modeled after the early Fender amp’s spring reverb, which is that vintage sound you hear on old jazz and oldies rock albums. 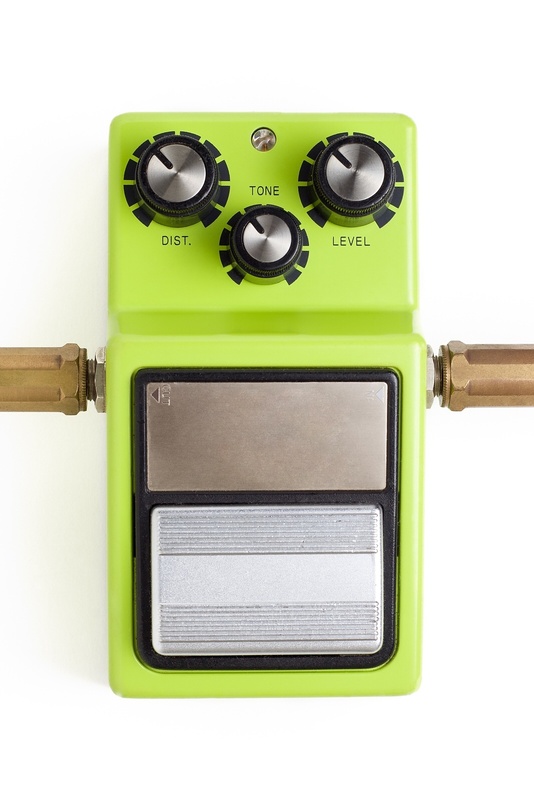 As its name implies, the delay pedal plays back your sample in a loop. You select the sound decay and loop rhythm. You may have heard this effect in old Pink Floyd or U 2 songs. It sounds a little more difficult than it really is, but choose wisely. Look for a delay pedal that has intuitive controls so that you don’t have to worry about fiddling with a bunch of complicated dials while in the middle of playing. Once you’ve found the guitar effects pedals that meet all the basic needs above, you may want to add one more to your pedal board that does a little something extra to your sound. You have a specific sound in mind, so this final pedal is a personal choice. (Of course, you may find your pedal board growing as you get more experience.) 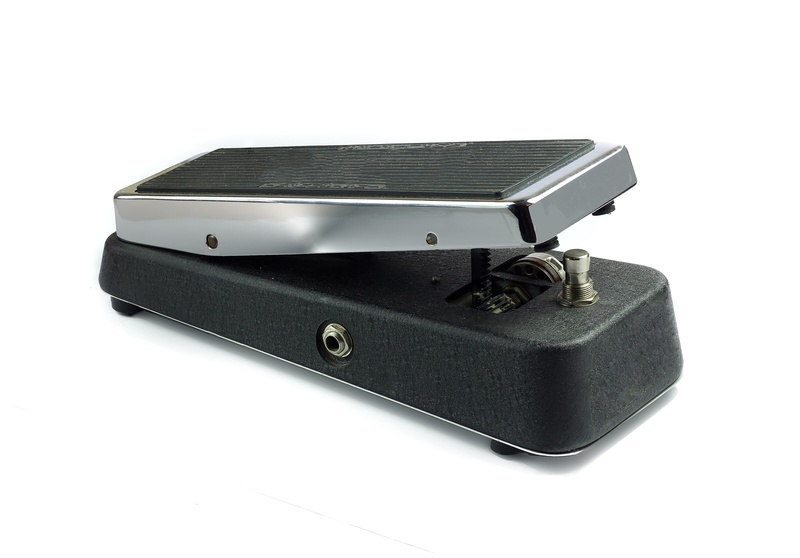 Some common choices include the wah pedal, or “wah-wah,” which is often used to mimic the human voice through your guitar. This pedal was used most famously by Eric Clapton and Jimi Hendrix. Another common choice is the flanger, which creates kind of a sweeping effect. You may have heard this as sort of a “spaceship” sound effect by mixing and exchanging two tones. 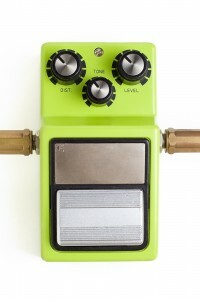 There are quite a few other guitar effects pedals that do varied things. Shop around and try them out. The idea is to personalize your pedal board, because no out there should have a sound exactly the same as yours.